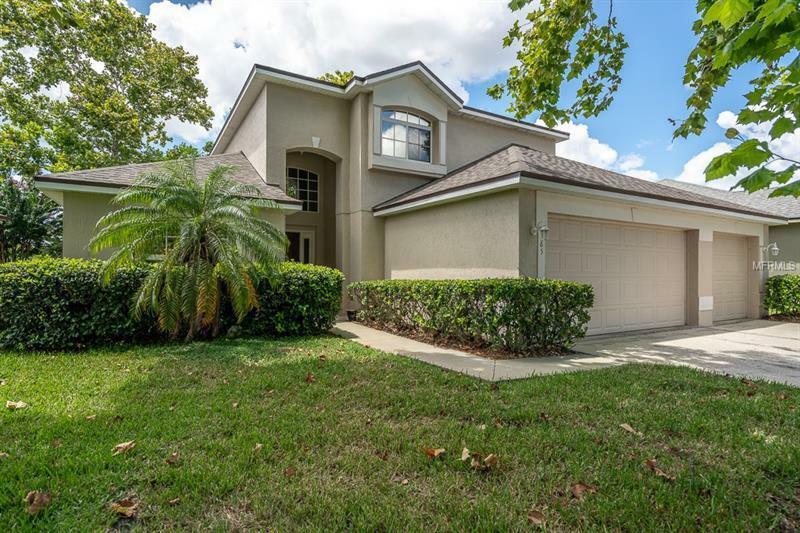 Enjoy the sunsets from this beautiful 3-bedroom 2.5 bath lakefront pool home in the gated Woodbridge Lakes community. This bright and airy home features a BRAND-NEW ROOF, NEW floors in most of lower level, 3-car garage, soaring ceilings, downstairs master suite, a screened-in swimming pool and hot tub overlooking the lake and a newly-painted exterior. The first-floor common area includes a beautiful fireplace and convenient access to the kitchen and lanai, which is perfect for enjoying time alone with an iced tea or a full meal on the screened lanai with friends or family. The well-lit kitchen boasts an abundance of cabinetry and all appliances, including both refrigerators. The 13 X 16 master suite includes a large walk-in closet and gorgeous lake views, while the attached master bath features dual vanities, a jetted garden tub and step-in shower. The upstairs 13 X 16 landing area is currently being used as an office space but would also make a wonderful second living area. Downstairs indoor utility room/mud room includes washer and dryer and even more cabinets for storage. Community amenities include: picnic tables, large gazebo, play area, and basketball courts, yet it boasts of the lowest HOAs in the area. Just minutes from I-4 and the 417, shopping and restaurants, this location is perfect. Owner may consider selling furnished. All measurements are approximate and should be independently verified.